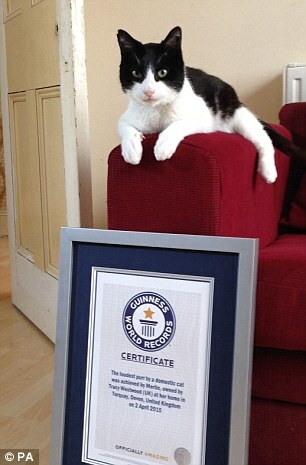 A handsome tuxie cat named Merlin is the new official Guinness record holder for the domestic cat with the loudest purr. 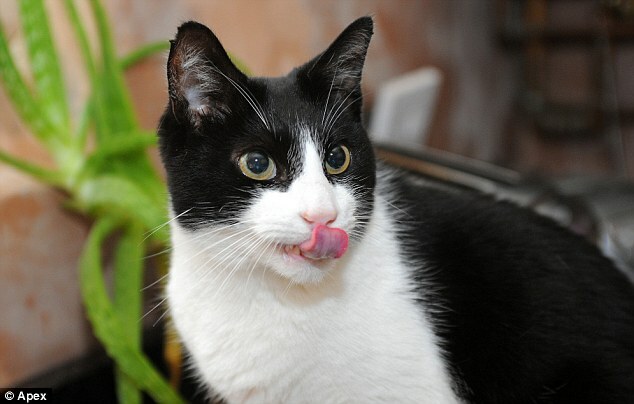 Merlin, a rescue kitty from Torquay, Devon, UK , has been confirmed as having the world record for Loudest Purr by a domestic Cat. Merlin, aged 13, who was adopted from an animal rescue centre in nearby Kingskerswell by his owner Tracy Westwood and her daughter Alice, was crowned king of the purrs during recent filming of the Channel 5 TV show, ‘Cats Make You Laugh Out Loud 2,’ for an episode which airs tonight (May 13). 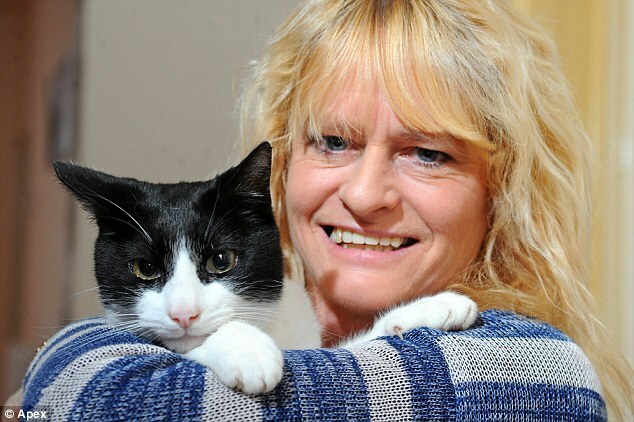 In the video below, which was published by local newspaper the Herald Express in 2013, Merlin’s incredible purr registered at 70 decibels, in a reading was taken using a smartphone app rather than a certified and calibrated Class 1 precision measuring noise level meter as required by Guinness World Records guidelines. Maybe it’s the type? I used to have a short haired black and white tuxedo cat that also had an incredibly loud purr. His nose would run while purring and he would be so focused that he seemed to be in a trance.